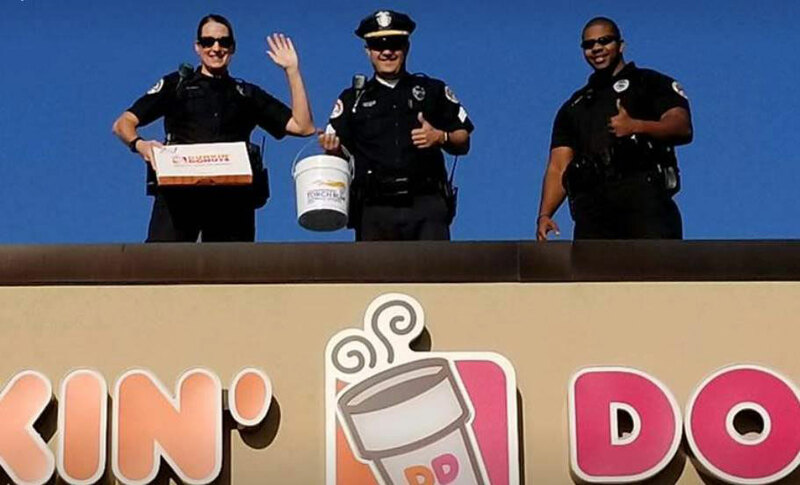 Cedar Rapids officer Charity Hansel waves from the rooftop. Police officers around the state helped raise more than $25,000 last week for Special Olympics Iowa. 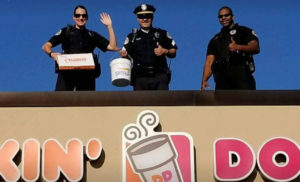 The fundraiser, called “Cop on a Rooftop,” involved officers climbing on top of 21 Dunkin Donuts locations across Iowa. That included Cedar Rapids Police Officer Charity Hansel. “We’re so excited to be partnered with the Special Olympics to be raising money for all of the athletes,” Hansel said. She spoke with KCRG-TV during last Friday’s annual event. “People come through the drive-through or the store, we ask for any kind of donation…in exchange, we’ll give you a free coffee or iced-coffee and all of the money is going to Special Olympics,” Hansel said. Officials announced Monday that in the past four years, the event has raised over $75,000 for Special Olympics Iowa.